The Perjen tunnel with approx. 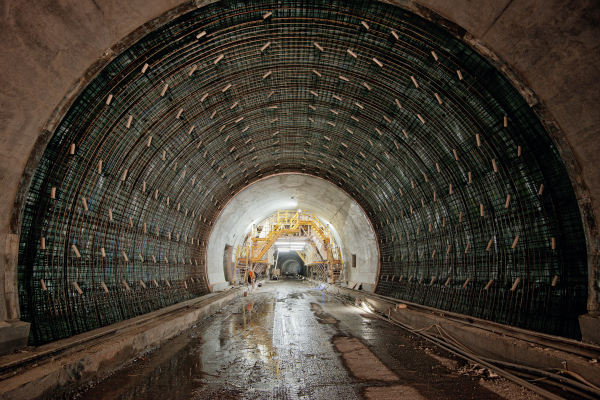 3 km in length (existing tube / north tube) was opened on 29.01.1983 and released for traffic after a construction period of 3 years. 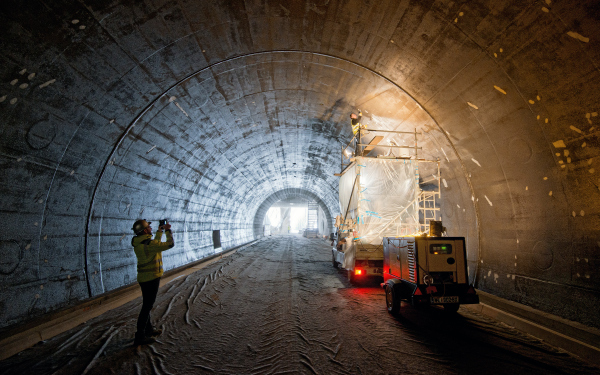 The Perjen tunnel has been designed as single-tube tunnel with two lanes and is currently operated for two-way traffic. 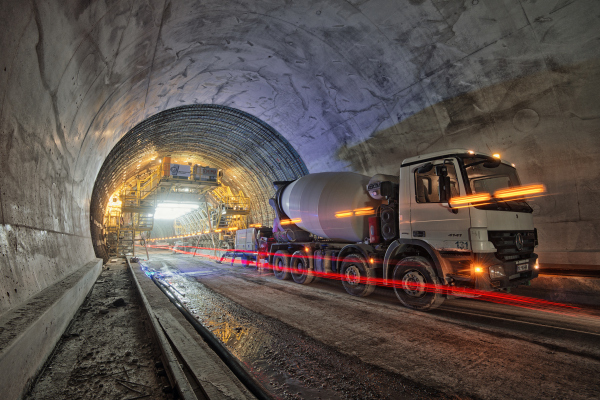 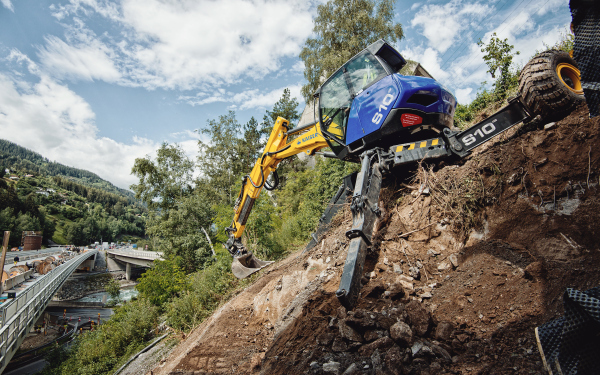 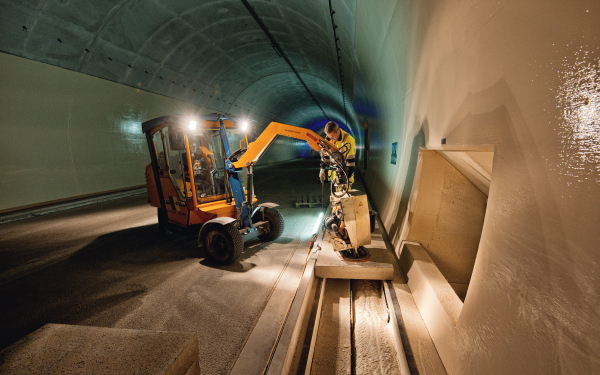 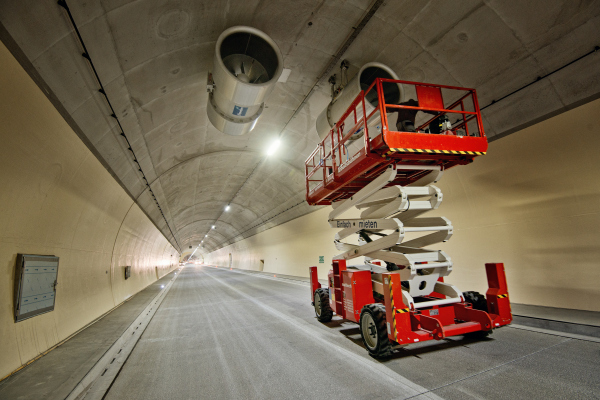 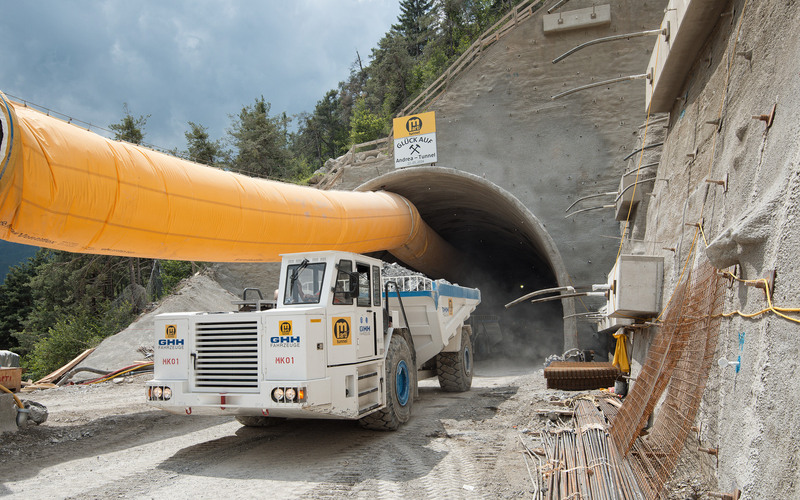 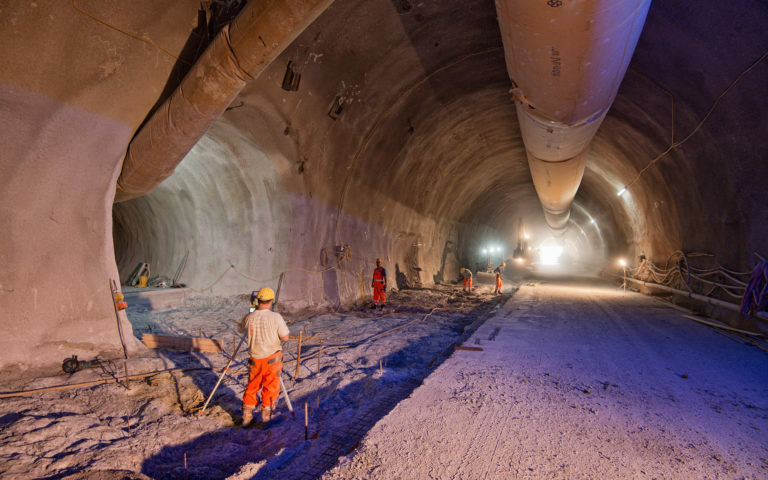 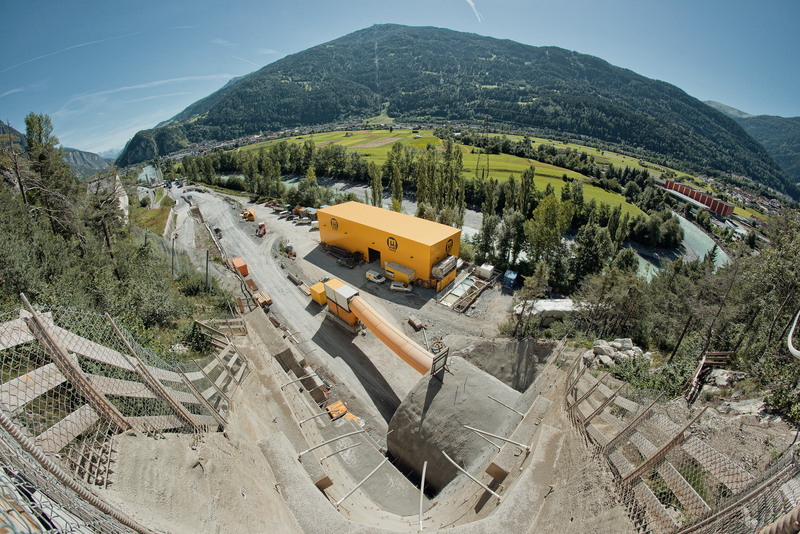 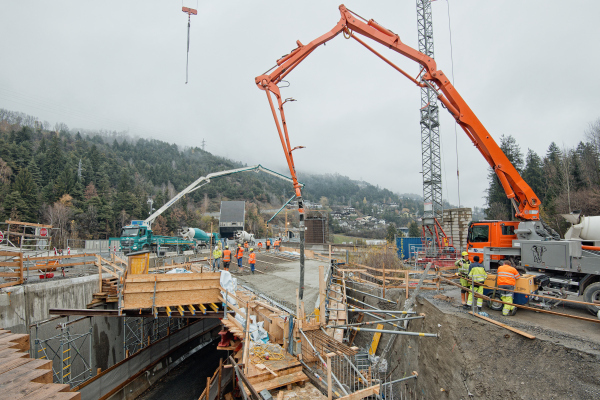 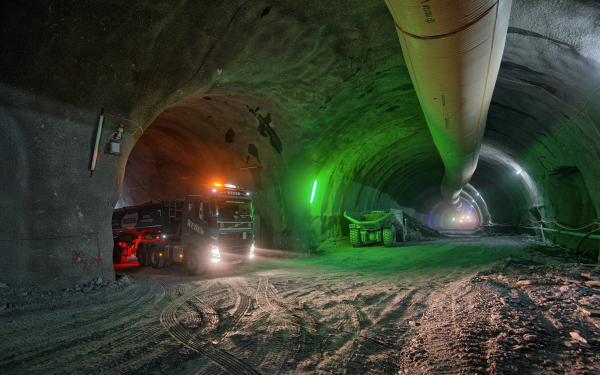 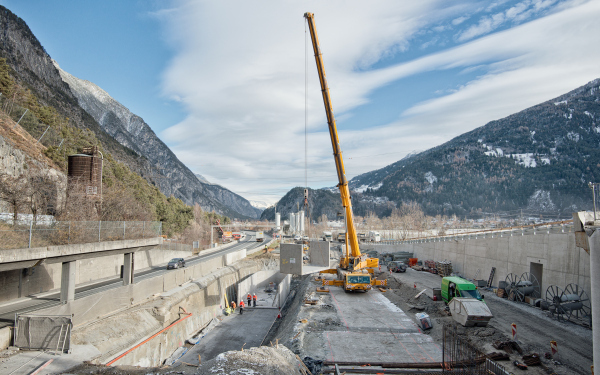 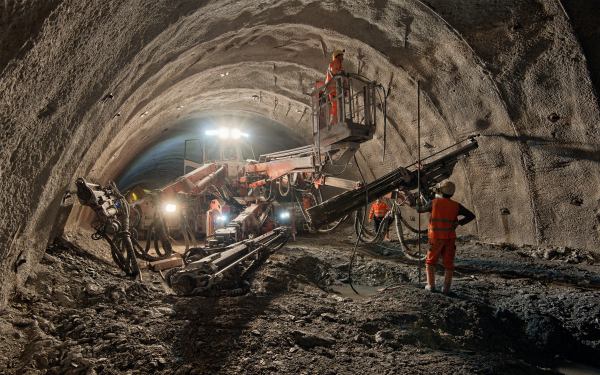 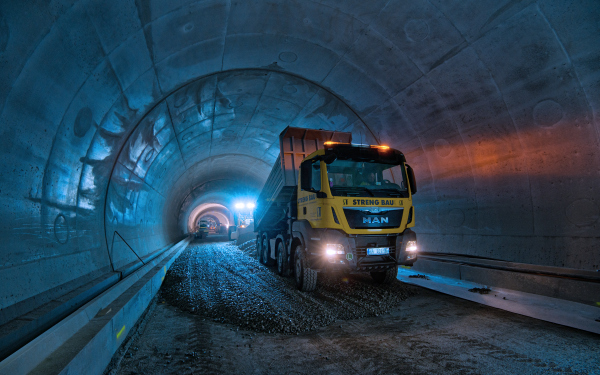 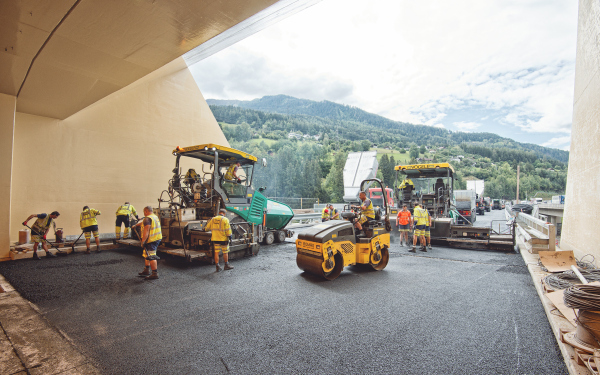 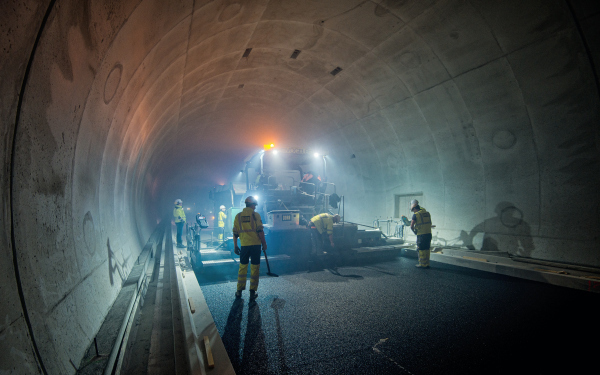 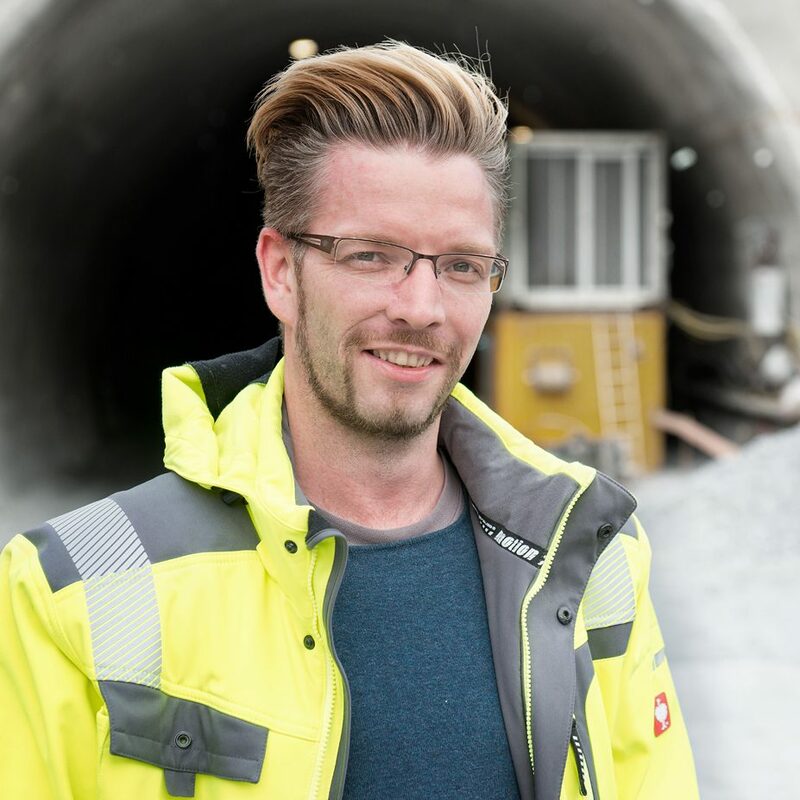 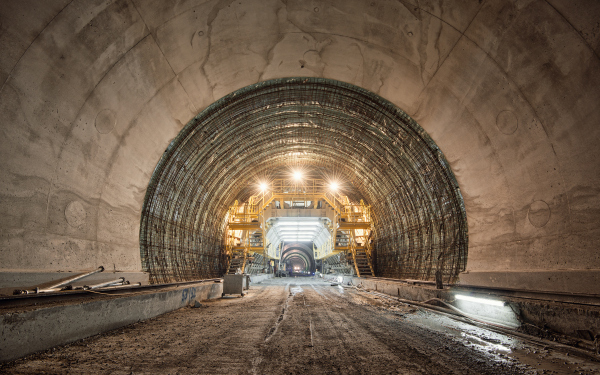 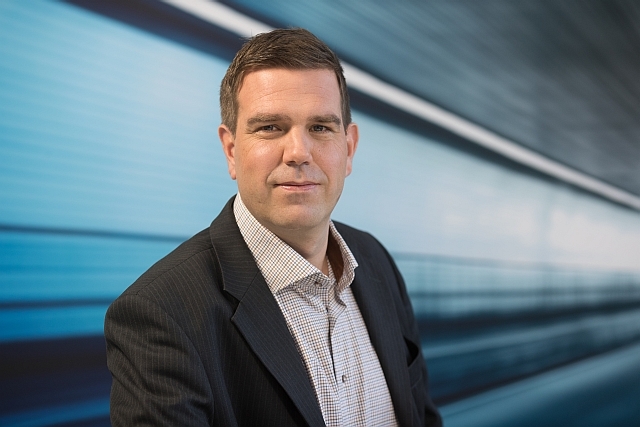 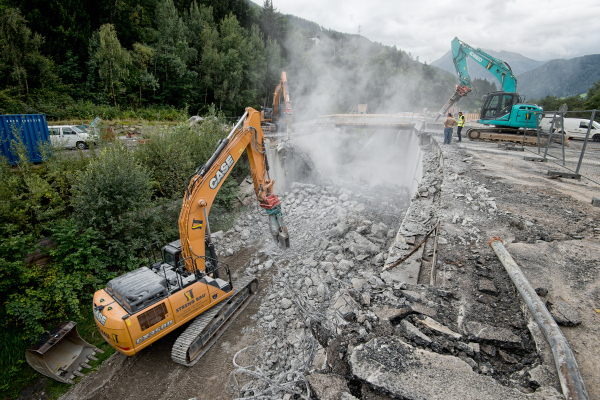 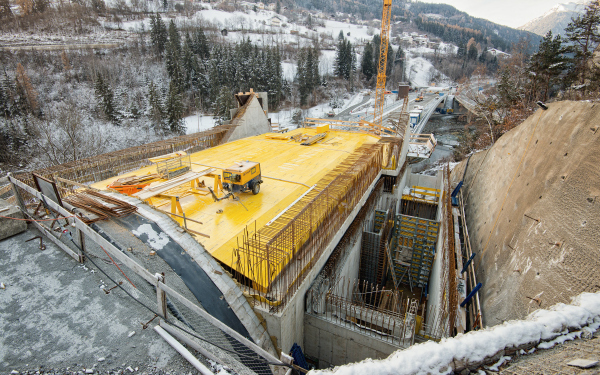 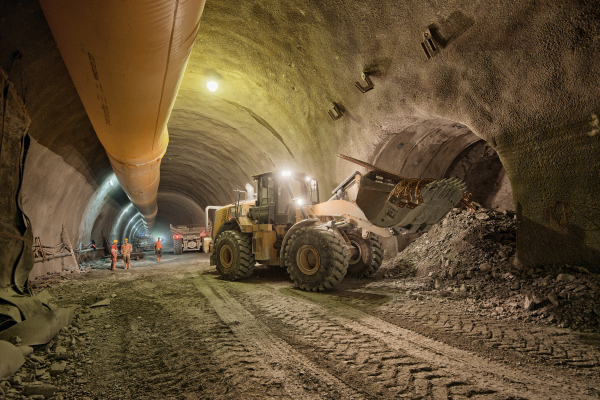 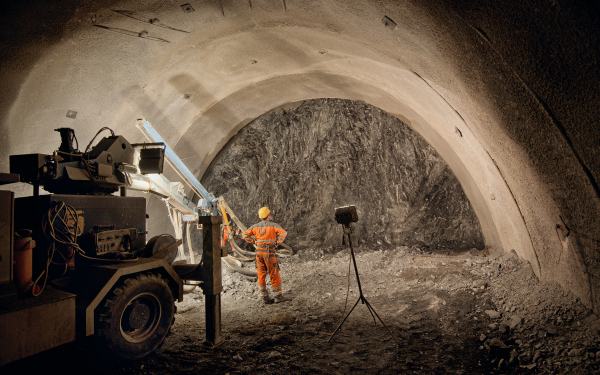 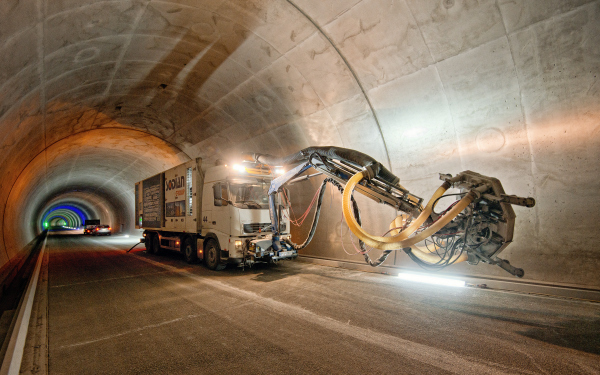 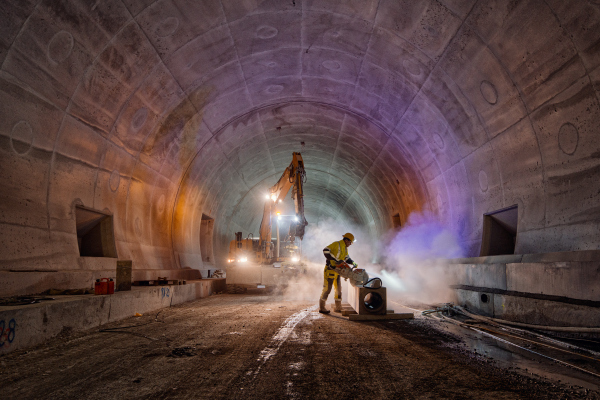 To be able to comply with the legal requirements of the Austrian Road Tunnel Safety Act (STSG), construction of a second tunnel tube (south tube) and refurbishment of the existing tube was required for operation of the tunnel installation in unidirectional operation. 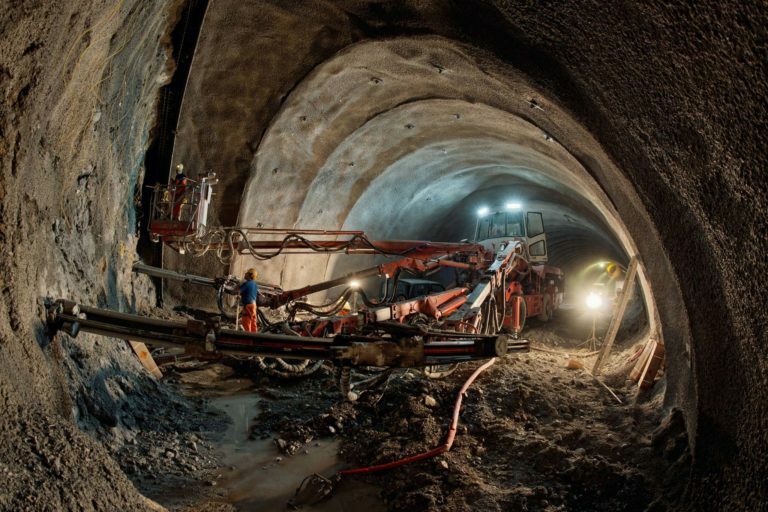 Simultaneously with the advance of the second tunnel tube, 10 cross passages were established to connect the first tunnel tube and serve as escape routes. 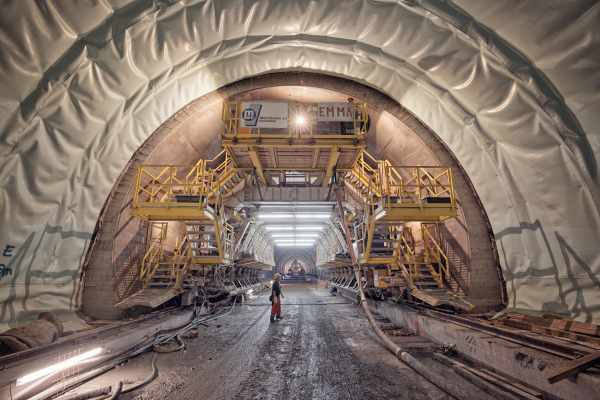 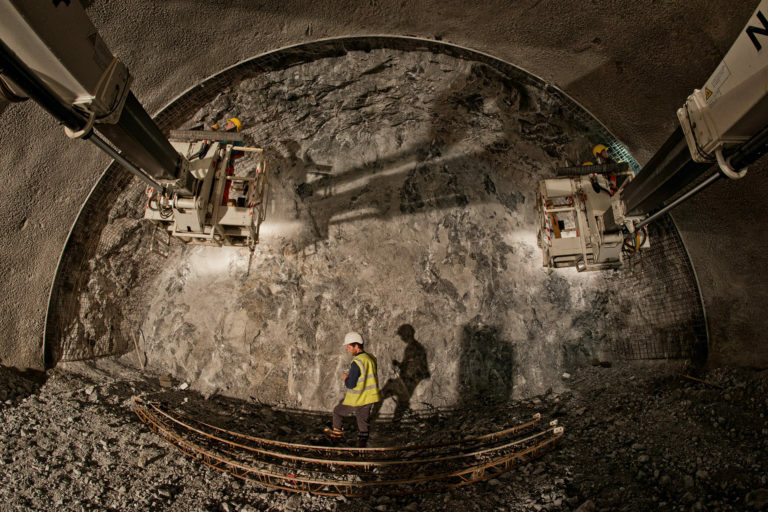 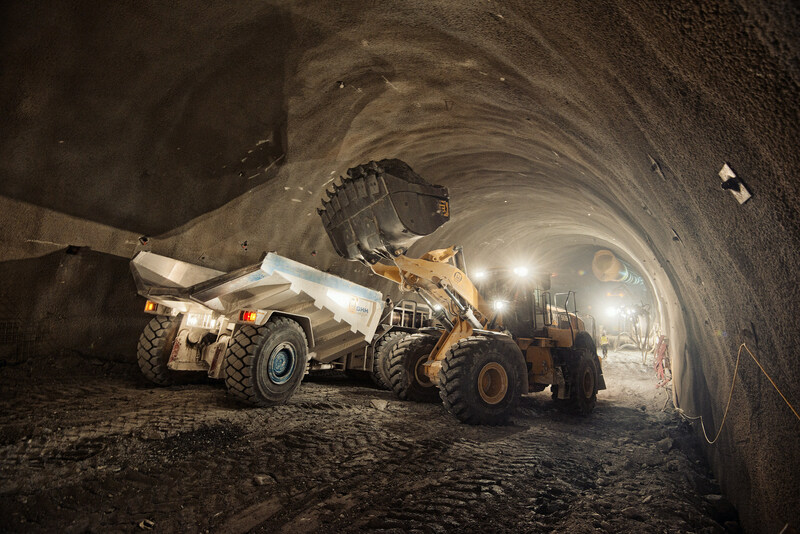 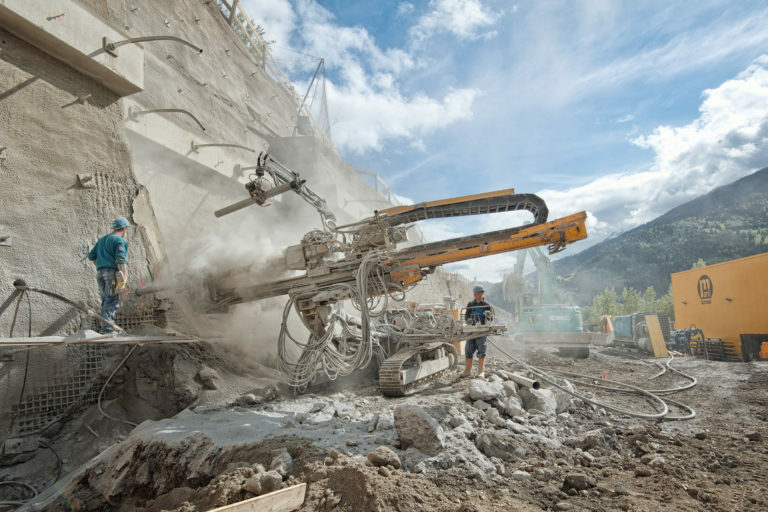 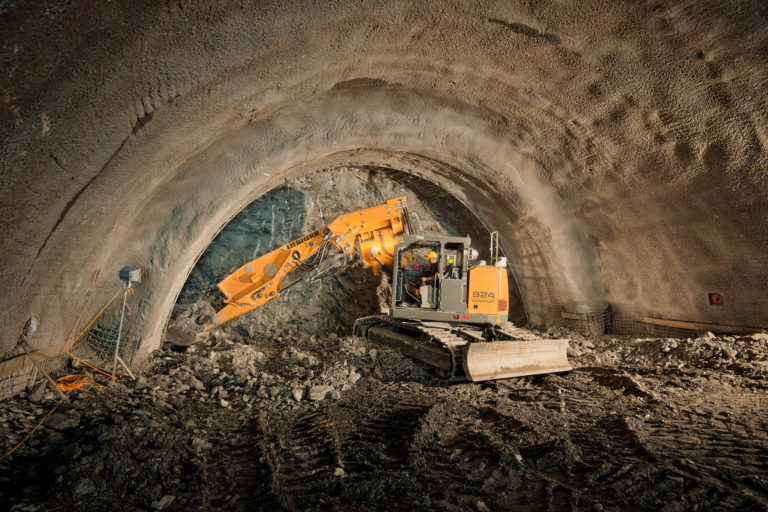 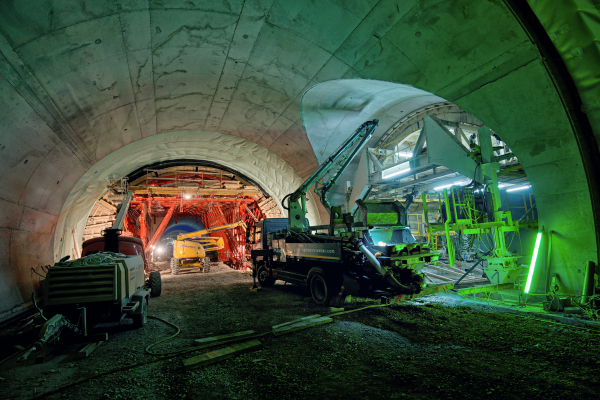 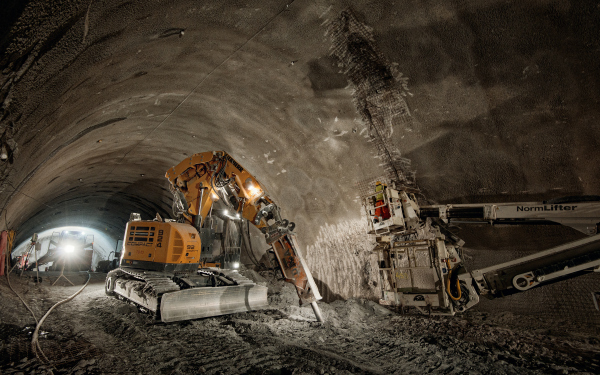 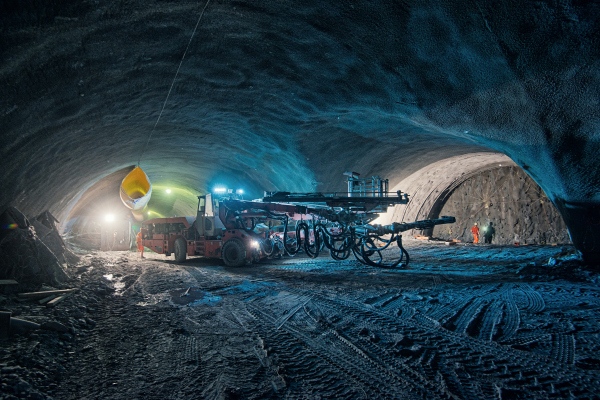 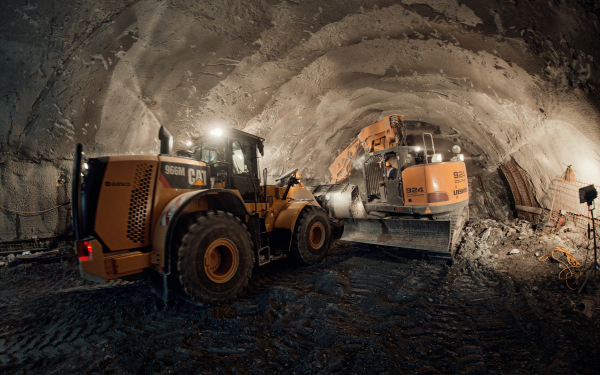 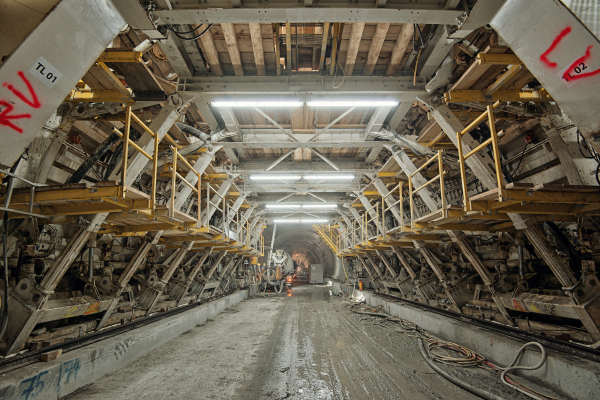 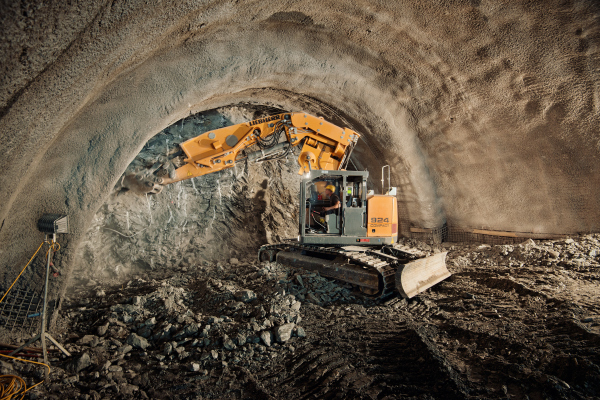 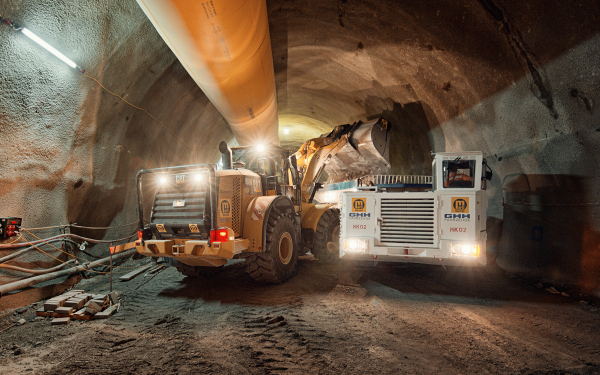 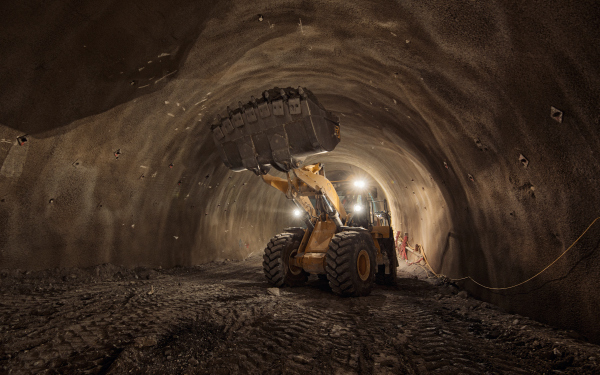 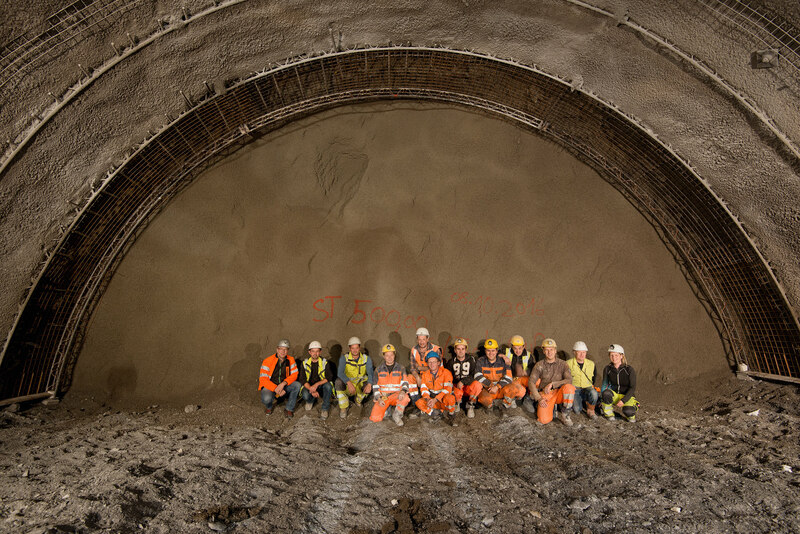 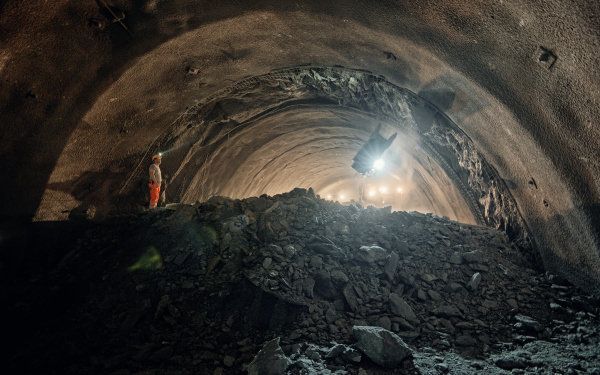 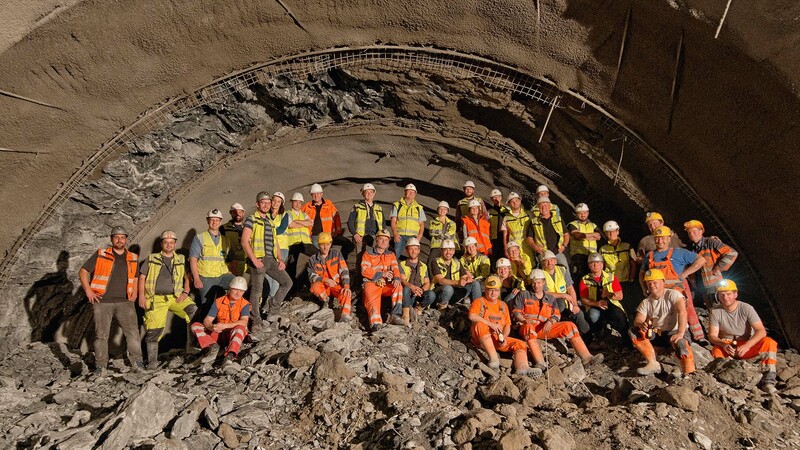 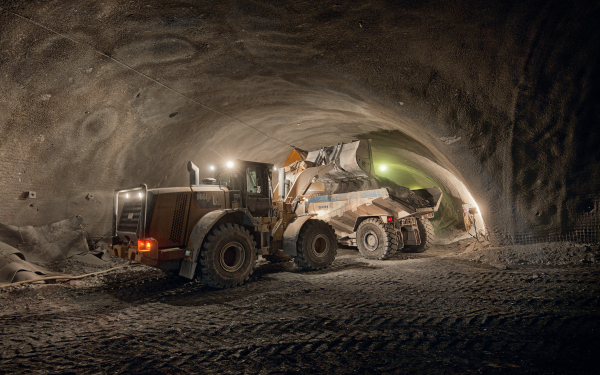 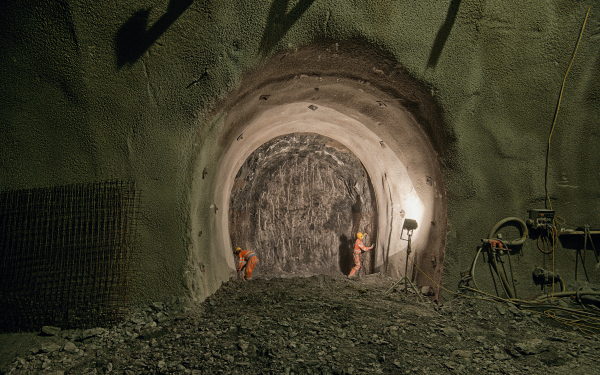 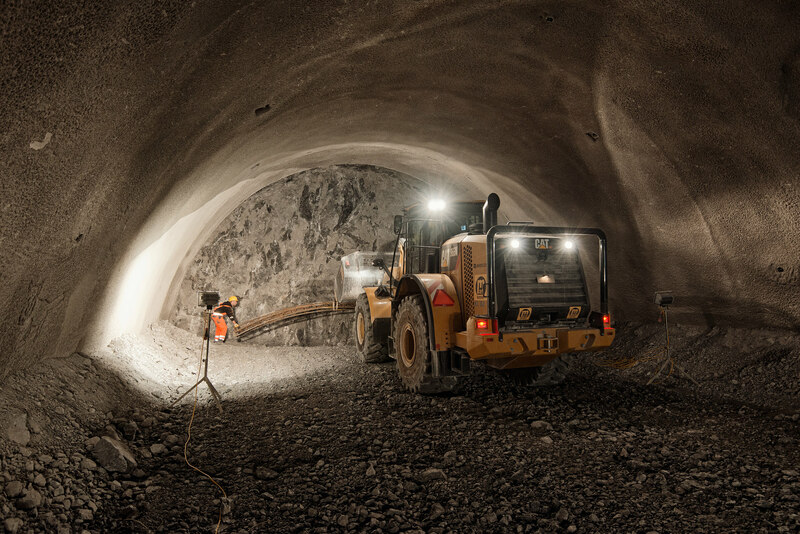 Excavation and construction of the second tube of Perjen tunnel was performed by mining at a length of around 2,750 m, including above-ground arch sections. 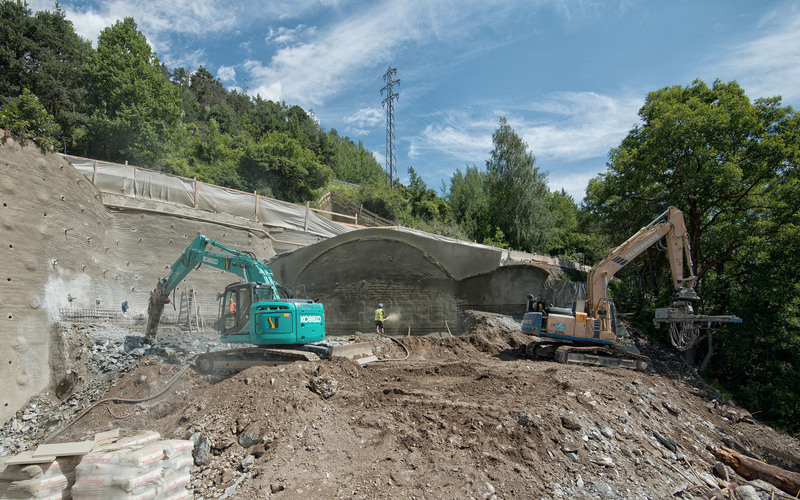 Heading was performed both from the east and the west portal. Excavation and construction of the cross passages was performed between the south and the north tube. Due to the distance between the two tunnel tubes of approx. 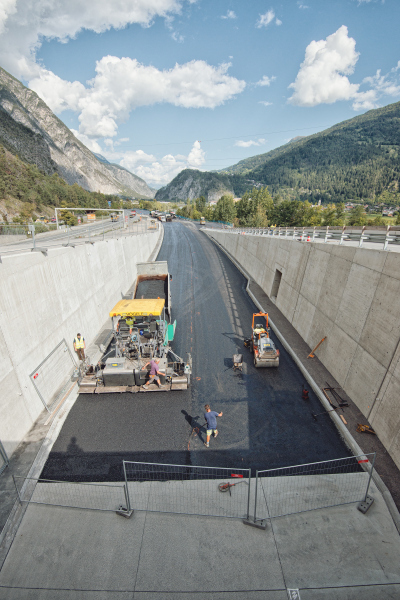 55 to 70 m, the cross passages are established in the form of locks. 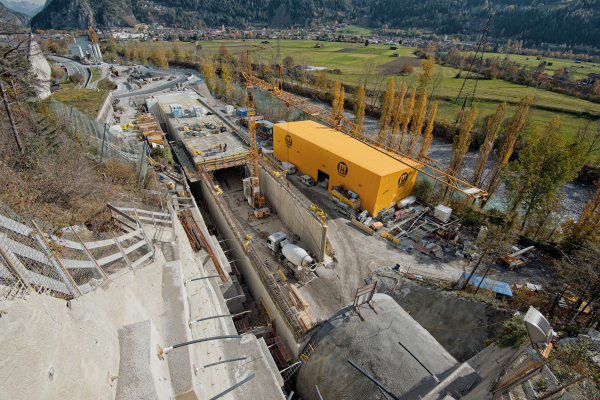 Overall, 2 SCP (accessible with service vehicles) and 8 PCP (pedestrian access) cross passages are installed. The distance between the cross passages will be less than 300 m. During new construction phase, the cross passages will be driven up to the existing inner shell and escape doors will be broken out. 2 breakdown bays will be included in the newly built tube. 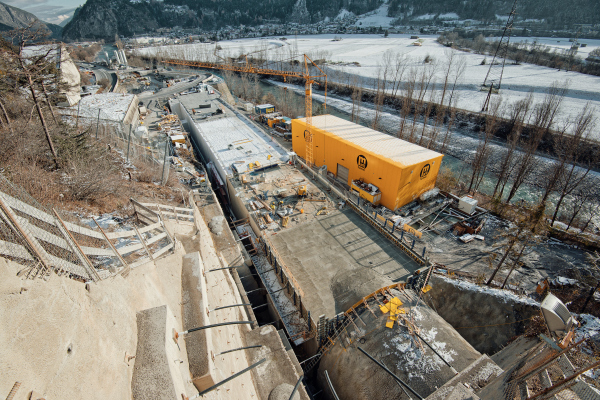 The two breakdown bays each include an electric power niche and an emergency niche and will have an overall length of 63.10 m. The 2 SCPs branch off the two bays. 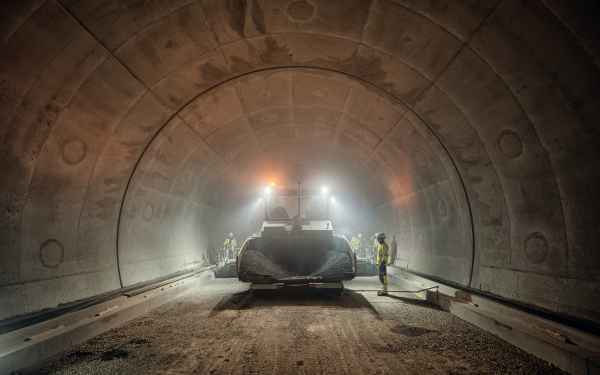 Upon completion of the new tube in December 2018, road traffic will be bypassed to the newly built tube in two-way operation. 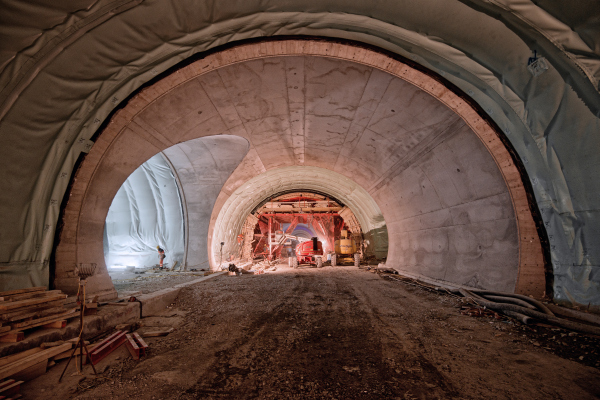 Upon completion of the new tube, the existing tube will be renovated by the end of 2019.